Night Storage Heaters have been a part of modern life for so long that they are generally just accepted as being the most efficient way to heat a home. This is largely due to the convenience they offer, which has led to consumers neglecting the potential of an alternative. 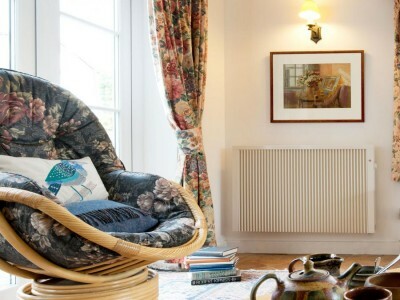 However, 21st century technology has evolved to such an extent that not only are modern electric radiator systems reaching new heights of technical superiority, they are now so eco-friendly that we all have a duty to embrace them and take advantage of the environmental benefits they offer to contemporary homes and businesses. There is also a real threat to human health due to this carbon emission as the dry burning heat that storage heaters produce has the potential to cause inflammation of the lungs; an ailment that is more likely to affect children and asthma sufferers. Modern electric radiators are able to avoid this carbon release thanks to several technological developments such as Magmatic Heat Retention (MHR) technology. MHR acts as an updated environmentally friendly version of storage heater technology by using small tablets to retain heat while the radiator is switched on, with the capability of releasing this heat gradually later once the system is no longer connected to the mains, only modern radiators consume just a third of the energy needed by those older models. MHR tablets are so advanced that they also work much faster than old storage heaters, being able to generate heat from the coldest temperature settings to the very hottest in less than half an hour. Another key modern technical advancement that lets electric radiators perform in an eco-friendly way while also providing the best possible user experience is Multi-Fin Designed (MFD) technology. Many electric radiators offer a technology that combines MHR and MFD for maximum efficiency. When these technologies are used together they release a hybrid air that combines the comfort offered by radiated heat with the equal distribution provided by convected heat. German electric radiators are particularly well known for combining these capabilities. Another good reason for homes and businesses to embrace modern radiator designs is the trendy designs they boast. Modern radiator appearances are able to match the style of any modern décor thanks to having a sleek design that fits appropriately into a room without distracting from its surroundings. This is a look far removed from the unflattering appearance of old storage heaters. West Country Heating offer a number of sophisticated modern electric radiators ideal for use in all homes and businesses. Contact them today to learn more.